BMW are the UK’s most popular luxury manufacturer, ranging from executive saloons to family SUVs, it offers everything you’ll need. They have been a top 5 best seller in UK Dealerships for decades and there is a reason why, with being named the most reputable car brand for 3 years running, all models boast a stylish design along with the best safety in all the industry. There’s no doubt that BMW creates one of the best saloon cars money can buy. Both the 3 Series and 5 Series are common place on today’s motorways and roads. The five series is especially popular with the business sector, it’s hardly surprising with their professional looks and excellent motorway cruising ability. The BMW is now in its sixth generation, it can provide exceptional fuel economy with its diesel variant or blistering pace with the ludicrously fast M5. An 8-speed automatic gearbox is often the transmission of choice amongst the BMW faithful. Along with the top-class engine, luxuries in the cabin are plentiful too. The BMW iDrive interface is the most intuitive infotainment system currently available on the market. It controls everything from the satnav to the radio and the top model found in the 7 Series also features gesture control. In the coming years, more and more emphasis will be placed on the fuel economy and CO2 output of your vehicle. Therefore, the 330e offers 148 MPG and only 44g/m of CO2. This keeps the car tax low without sacrificing on fun. On the other hand, The BMW i3 offers a fully electric driving mode with zero emissions. The battery can be charged with a socket from your home or via a special fast charger often found at supermarkets or in car parks. Should the battery become fully depleted you won’t be left stranded as a small petrol motor kicks in to keep you moving. Both the 3 Series and the 5 Series are offered in saloon and estate form. The saloon offers a more compact feel on the road whilst the estate gives exceptional boot space. Deciding between the two options comes down to how you intend to use the car. If you have a big dog or are accustomed to moving furniture around, the estate may well be for you. If you’re more focused on driving pleasure than the practicality of the car the saloon should be your pick. These German cruisers aren’t just for businessmen however, for a family for example there are several models to choose from. 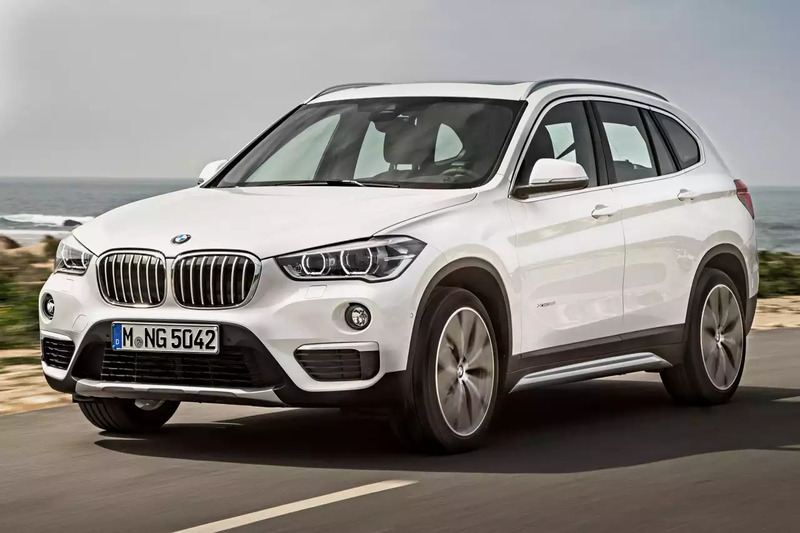 The X5 offers unrivalled safety and comfort for your family, whilst the 2 Series Active Tourer takes a turn away from their normal offering it doesn’t sacrifice its build quality and refinement. Leg room and luggage space were top of the list for this people carrier, the rear seats can be moved forwards and backwards to provide more boot space and the seats can be dropped all together for a flat loading bay. If you require four-wheel drive an X1 or X3 may be worth exploring. Both are robust and happy to get you through the roughest terrain you can throw at it.